Do you feel like you plan a vacation, only to have your child get sick the day before you leave? Or maybe your little one has an ear infection, and you’re wondering whether or not to cancel your flight to grandma’s house? Or maybe the family members you’re supposed to be staying with have come down with the stomach bug. Should you book a hotel room instead? As parents, we’ve all been there before. Traveling during the holidays can be stressful enough, but when you add in sick kids, it can be downright miserable. So we teamed up with Dr. Katie at Forever Freckled to host a Facebook live chat to give us realistic tips and advice to keep your kids as healthy as possible while we’re traveling for the holidays. Be Realistic. As much as we may not want to hear it, we need to be realistic about our kids getting sick during the holidays. It’s smack in the middle of cough and cold season, and our kids are being exposed to lots of different germs as we travel. The best thing you can do is to plan ahead. Pack (or Ship) Supplies. If you’re headed out of the country, pack the medications and supplies that you might need. Things like children’s ibuprofen or Tylenol, thermometers and (of course) Boogie Wipes® saline nose wipes may not be available on every street corner. Bring them with you so you don’t have to stress. If you’re traveling to stay with friends or family, you may want to consider sending everything ahead of time using Amazon Prime. Your supplies will be waiting for you just in case. Click here to see all of our favorite cough and cold supplies that you’ll want to have on hand. Reduce Exposure Before You Leave. This may sound drastic, but as Dr. Katie pointed out, if you’ve been saving up for a trip to Disney World for the last two years, you may want to consider pulling your kids out of daycare or preschool the week leading up to your trip. This can help to reduce exposure to illness before you head out on your magical vacation. Have an Infant? Check with your Pediatrician. Infants under the age of six weeks are at a much higher risk of infection. 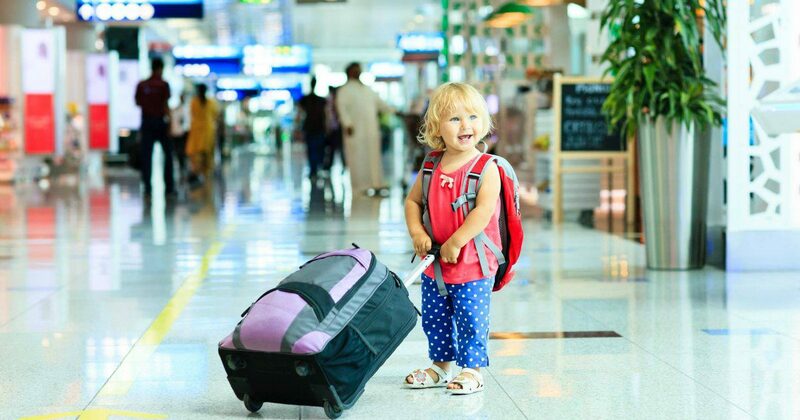 You should always check with your pediatrician before taking your infant into a public setting (like an airport) where their risk for exposure increases. Wash those Hands! Washing hands properly is still the number one defense when it comes to staying healthy. Click here to learn more about how to teach your child to wash their hands the right way. For more great holiday travel tips from Dr. Katie (including when you should consider cancelling that trip), watch our entire Facebook Live chat below. Or you can click here to watch it on Facebook.